Hello and welcome to our Summer newsletter. You find me in the unusual position of sitting down with my feet up! The reason being that, unfortunately, I have broken my ankle slipping on ice (it was very early!) while out for a run with the dog. And yes, I am taking notice of the excellent advice and there is an icepack on it, I am staying non-weightbearing as instructed, I have been splathering arnica on and being as good as I possibly can be. Well, if I don’t show a good example, what hope is there for my patients! I am likely to be out of action for another few weeks dependant on how well I heal. But I would like to assure all of my patients that I have gathered the most excellent team of clinicians around me and I know I can rely on them to provide you with the utmost care and professionalism. In other news, we have had a very busy time at the clinic with our involvement in community events, Pilates classes going from strength to strength (as are the participants! ), attending courses and hosting CPD evenings, and welcoming a lovely new member of the team whom I’m sure you will all enjoy getting to know. We always welcome any suggestions you have about the clinic, and this newsletter and, whilst I appear to be confined to a chair at the moment, would welcome any emails with your thoughts and ideas. 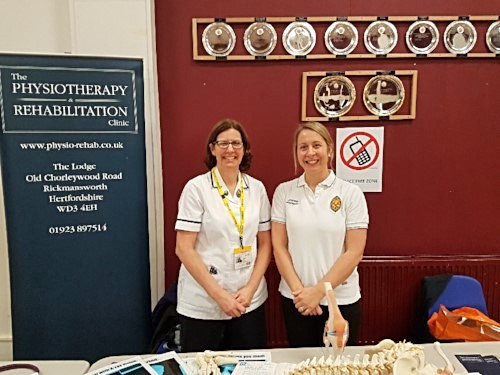 Anya and Christine enjoyed two afternoons at the St Joan of Arc School Science and Engineering Inspiration Events telling the children of Year 7 about the wonderful profession of Physiotherapy. It was a perfect opportunity for the children to discover, explore and ask questions about physiotherapy and how the human body works. We always enjoy seeing young people’s reaction when they realise how broad the profession of Physiotherapy is after having spent some time with our Musculoskeletal, Neurological and Paediatric Physiotherapists. As a result, a few young people have asked to come to the Physiotherapy and Rehabilitation Clinic to see our Physiotherapists at work. We were also invited to attend the Careers Convention at the Royal Masonic School for Girls. This was aimed at Year 11 children and designed to give them an overview of the profession and requirements for admission to training. Anya and Sangna were delighted to be kept so busy all evening and hopefully have encouraged some of the children to progress forward with their application. 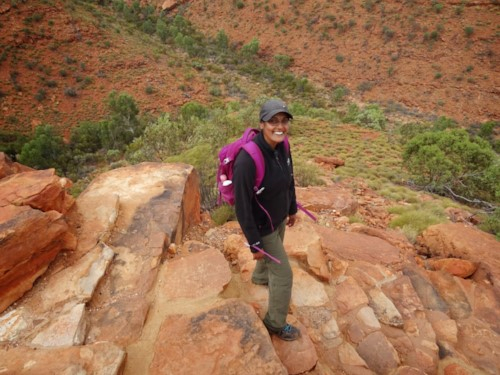 We have been delighted to welcome Sangna Unadkat, a Musculoskeletal Physiotherapist, who joined our team in March. Sangna qualified with a BSc(Hons) degree in Physiotherapy from King’s College London in 2003, and is currently working towards her MSc Level at the University of Hertfordshire. 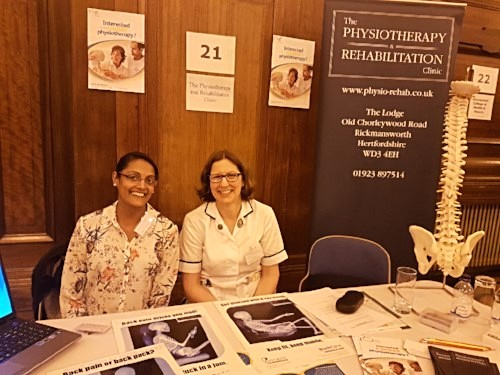 Since qualification Sangna has gained experience in a broad range of physiotherapy specialities, ultimately specialising in Neuromusculoskeletal Physiotherapy and the management of chronic fatigue. Sangna completed a clinical educators course, and enjoyed teaching and sharing her learning and experience to supervise undergraduate students during placements at the hospital. Sangna has joined the team at The Physiotherapy and Rehabilitation Clinic where she will bring her years of experience of listening, assessing, advising and working collaboratively with patients to help take a holistic approach to patient’s values. Sangna believes all patients need to feel empowered in their rehabilitation; through education, manual therapy and an individualised exercise programme. Sangna on her recent travels. What first brought you to the Physiotherapy and Rehabilitation Clinic? 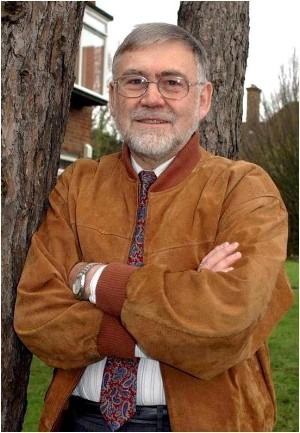 I first had physiotherapy with Mrs Anya Caskey in 1989, almost thirty years ago, following an extended stay of sixty-seven nights in hospital with an extremely severe lower back problem. My L3/4 lumbar disc had prolapsed, damaged the right femoral nerve root and paralysed my left leg resulting in much pain and severe muscle wastage. My consultant recommended Mrs Caskey and I visited her for physiotherapy to rebuild the wasted left leg muscles. I have, for clinical reasons (e.g. following a completely ruptured left quadriceps tendon in 2006, after a L4/5 lumbar disc operation in 2008 and both left and right shoulder operations in 2009 and 2010) visited Mrs Caskey many times since 1989. I have always been delighted with my treatment and both my wife and I feel how very fortunate we both are to have such a brilliant physiotherapist and her wonderful clinic so close to where we live. What are you being treated for now? I had my left hip completely replaced in February 2018 and, following this surgery, have been having weekly physiotherapy sessions at The Rehabilitation and Physiotherapy Clinic with Mrs Caskey. The left hip replacement surgery was completely successful but my left knee (where I had my ruptured quadriceps tendon in 2006) has been giving me problems and some pain which Mrs Caskey is treating with soft tissue techniques, ultra-sound treatment and a home exercise programme. How has Physiotherapy prepared you for the hip replacement? I was on holiday with my wife in New Zealand and I started experiencing agonising pain in my left groin. On our return to the UK I visited The Rehabilitation and Physiotherapy Clinic where, after careful examination, Mrs Caskey told me that it was not “groin strain” (which I erroneously thought it was) and that she was convinced my left hip needed replacement. This was confirmed, a couple of weeks later, by my orthopedic consultant. I had my right hip completely replaced in 2011 (by the same consultant) so I had a good idea of what to expect although I am now seventy-five (and some eight years older) than I was in 2011. How did you feel about having a hip replaced? Relaxed. I knew my left hip’s condition would not get any better – it would only worsen – and so the quicker the operation was undertaken the better things would be. Operations are never fun but hip (and knee) operations usually result in a very much better quality of life post-operatively. What sort of exercise regime were you given? The London Hip Unit (where my consultant, Miss Sarah Muirhead-Allwood, is based) and King Edward VIIth’s Hospital (where I had the hip replacement surgery) both gave me sheets showing the physiotherapy exercises that I needed to do (both in bed and out of bed) following hip replacement surgery. Before the surgery, Mrs Caskey also checked that I understood all these recommended exercises and did them properly and conscientiously. This also included walking and how to ascend and descend stairs (vital because my wife and I live in a second floor flat and there is no lift). How important do you think this was to your recovery? The physiotherapy exercises you are advised to do are absolutely essential. If you do not do them regularly and conscientiously then you are really only being a fool to yourself and probably delaying your recovery. I know that doing the recommended exercises, and also walking as much as possible, have certainly hastened my post-surgery recovery. How do you think life will be different once you’ll have fully recovered from the operation? If the experience of my right hip replacement in 2011 is anything to go by, I expect a good recovery and a complete absence of pain. I should be able to do everything I did before the latest operation and this includes both cycling and mountain walking. What advice would you give to someone who is preparing for a hip replacement? Well done to all our Marathon runners who performed fantastically well on one of the hottest race days and managed amazing times given the conditions! Well done also to Jonathan for doing post-race massage raising money for Centre Point. ‘Brilliant – efficient, professional, and friendly’.